Another dish I made this weekend was the Burnt Aubergine and Mograbieh Soup from Ottolenghi's Jerusalem. 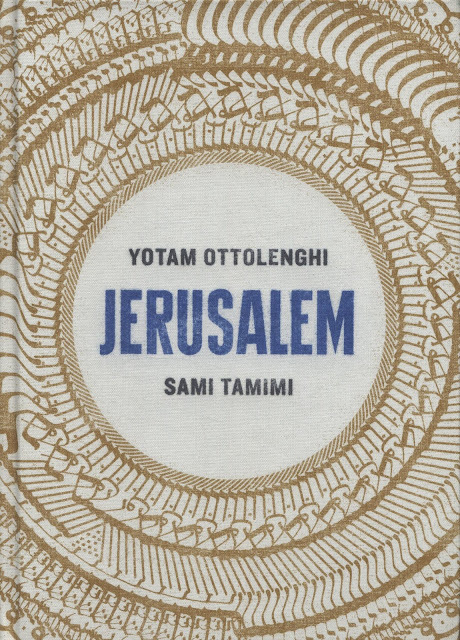 I've become a little obsessed with Ottolenghi recently, after getting Plenty More for Christmas. I love the simple but rich dishes, and the Middle Eastern style of cooking, so sumptuous. 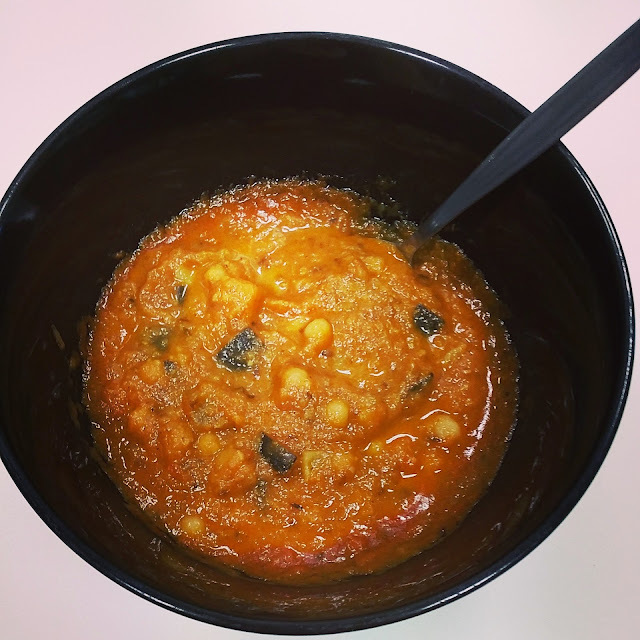 The soup is a little time consuming, but worth it. I just wish aubergines were cheaper, I want to make all his aubergine recipes! 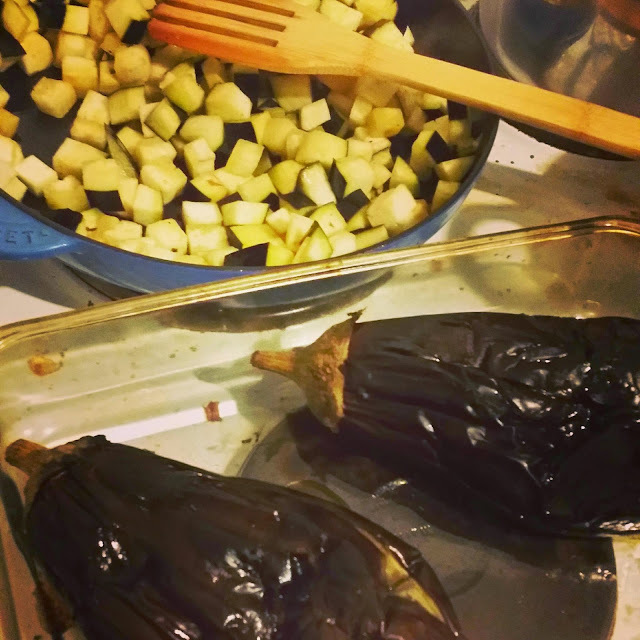 First you need to roast the aubergines on an open flame or under a hot grill (this is what I did as we have an electric stove) until the skins are burnt, and meanwhile also fry some extra diced aubergine for texture and garnish. 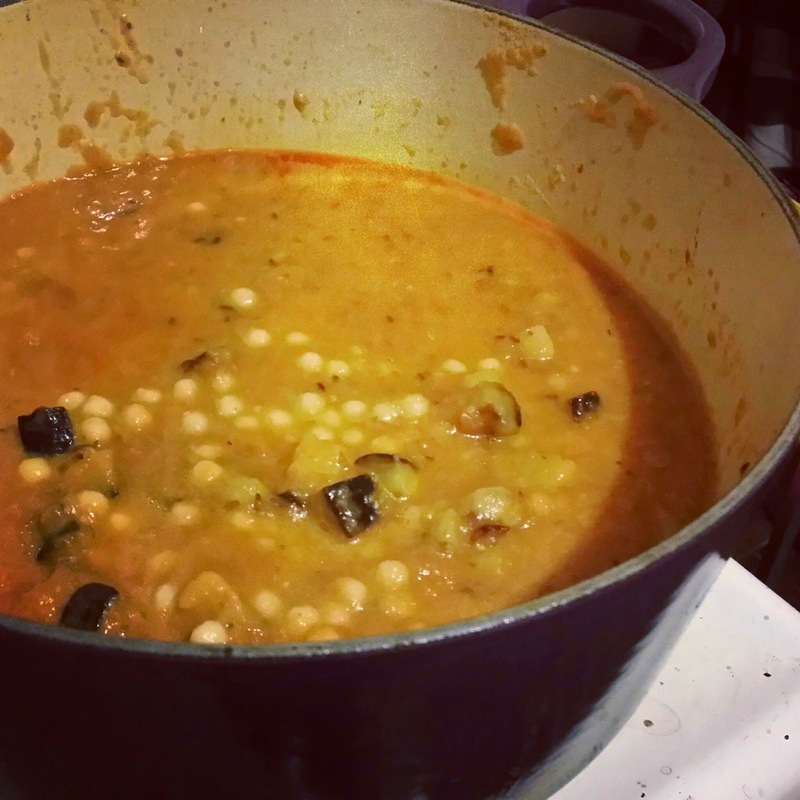 After making the tomato base for the soup, you add the burnt aubergine flesh and blend it all up, then add the diced aubergine and cooked mograbieh (Israeli couscous). It's pretty simple in terms of ingredients, but turns out really creamy and filling. Yum.